The TWA Water Hub in the Netherlands is strategically located to support many of our clients based in Europe that have an interest in developing business and projects in the Asia Pacific region. The Netherlands alone is home to dozens of companies, knowledge institutes, NGO's and government organisations that are active in Asia. Whether they operate on their own or as part of a collective, for example through the Netherlands Water Partnership, The Water Agency helps them to extend their local reach and maximise the impact of their investments. We help clients with market and feasibility studies, strategic business development projects (typically in a complex local stakeholder context), local partner identification and management (distributors, agents), organisation of (technical) training programs, engagement of local universities (for research projects, internships, junior staff), etcetera. The other way around, The Water Agency is increasingly asked by local partners in Asia Pacific to help them identify international solution providers. TWA The Netherlands will match these questions with suitable partners in Europe. Liaising between our clients in Europe and the TWA operations in Asia and Australia, the Dutch office coordinates several key initiatives, such as the (technical) development of the Myanmar and Indonesia water portals, the Urban-Water-Logistics-Yangon (UWLY) PIB roadmap and the Holland Water Challenge program. ​TWA's Gregor, Piet and Frodo, presenting at Amsterdam Internatiotional Water Week 2018. ​Delegation from Myanmar visits Rotterdam, The Hague and Amsterdam, 2018. 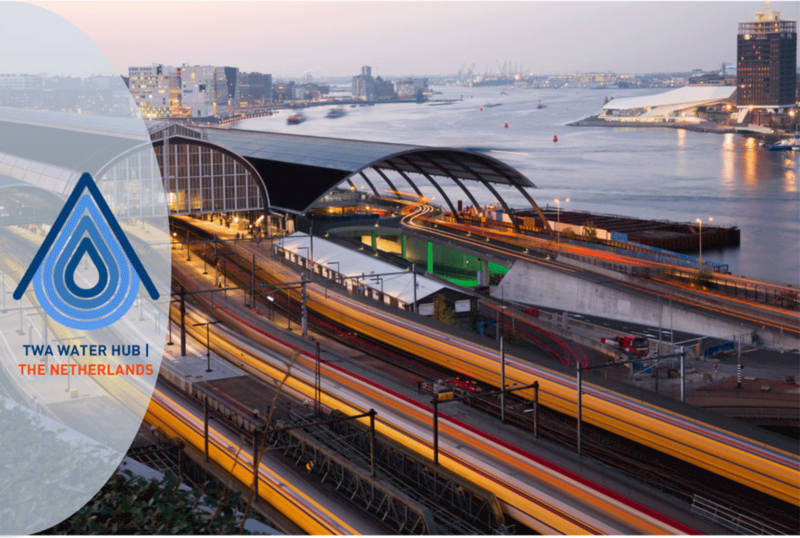 In November 2019 TWA organises a Climate Resilience Study Tour to Amsterdam International Water Week 2019.